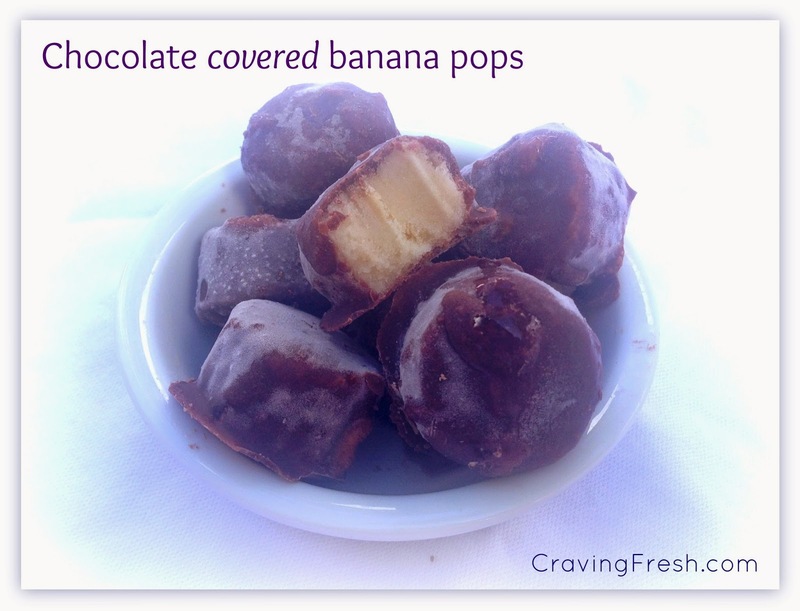 These Chocolate Covered Banana Pops are the perfect ice-cream like treat for people wanting to avoid dairy, eggs and refined sugar. These delicious little morsels keep well in the freezer, or can be stored in the fridge for a few hours to create a softer centre. Thanks to the creamed coconut and coconut oil in the chocolate coating, these treats are nutritional powerhouses, making them a dessert you can feel good about eating. Don't consume too many if you're trying to lose weight, however, as bananas contain a lot of natural sugar. My thanks to the Coconut Oil Shop and Natvia for providing ingredients for my test kitchen. Peel bananas and place in a container to freeze for two hours or more. Place the rest of the ingredients in a small saucepan on a medium-low heat and melt together, stirring until well combined and looking like chocolate sauce. Take chilled bananas from freezer and slice into 1cm thick pieces. Place banana slices in saucepan of chocolate sauce, turn to coat using a spoon, them remove chocolate covered pieces with the same spoon (allowing excess chocolate to drip back into saucepan) and place on a tray lined with baking paper to set. Place chocolate covered banana slices in freezer to set, then peel away from the baking paper and either transfer to a freezer-safe container, or serve immediately. Shared on Real Food Allergy Free.